I love to look at grapes on a rambling vine. 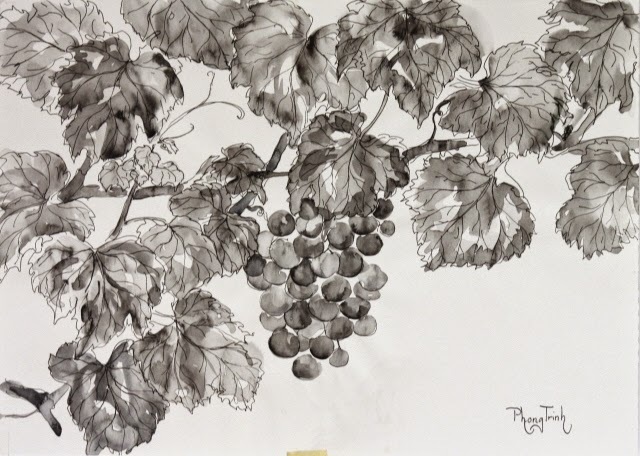 I came back with the best bunch of grapes that I could afford and created another piece, free hand no pencil, no rubber just a pen and a brush to be consistent with the other previous two. This one looks tasty!